Dr. Susan Kaufman Purcell is an independent consultant on Latin America based in Miami, Florida. Prior to that, she was Director of the Center for Hemispheric Policy at the University of Miami and Vice President of the Council of the Americas, a not-for-profit U.S. business organization of mainly Fortune 500 companies with investments in Latin America, the Caribbean and Canada. She was also a Senior Fellow and Director of the Latin America Project at the Council on Foreign Relations and was a member of the State Department’s Policy Planning Staff during the Carter and Reagan administrations. Before joining the U.S. government, Dr. Purcell was a tenured professor of political science at the University of California, Los Angeles. She holds MA and PhD degrees in political science from Columbia University and a BA degree in Spanish and Latin American literature from Barnard College, where she was elected to Phi Beta Kappa. Dr. Purcell was a director of Valero Energy Corporation, a Fortune 100 company, from 1994-2018. She also served on a number of non-profit boards including the National Endowment for Democracy, Freedom House, and the International Women’s Forum (Miami/Dade and Broward chapter). She has done extensive consulting on Latin American economic, trade, investment and political issues for U.S. and foreign corporations. 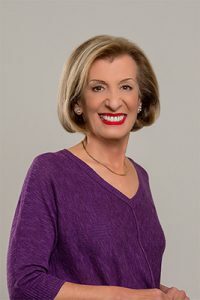 A recognized authority on Latin America, she has written, co-authored or co-edited eleven books and has published over 200 articles on Latin American economic, financial, political and foreign policy issues and has commented regularly on developments in Latin America on television programs in the United States and Latin America.